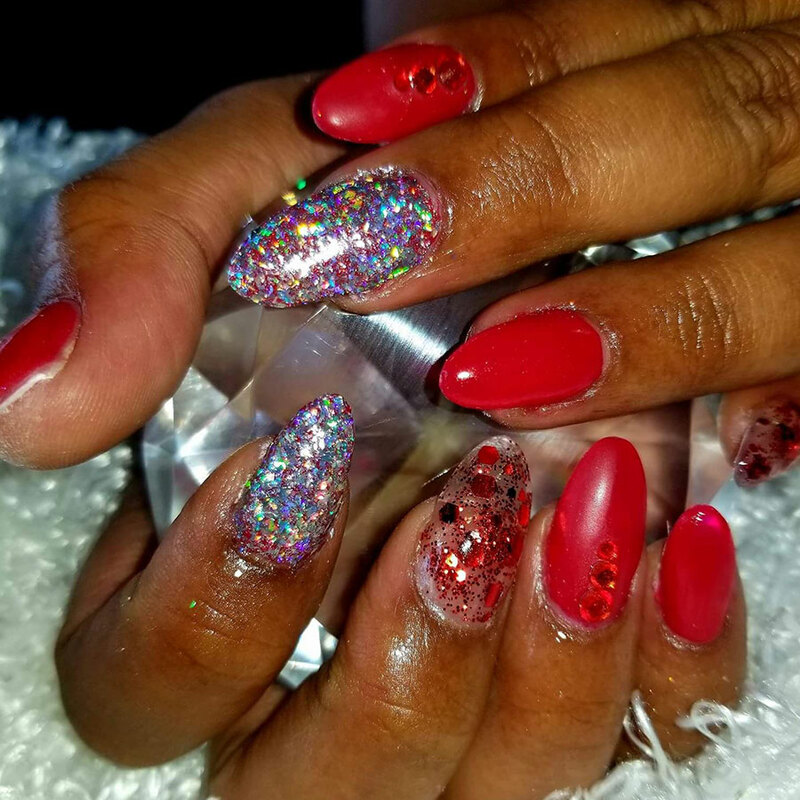 We offer a variety of nail services to help you look your best including manicures, pedicures, dip powder, shellac, and acrylic nails. 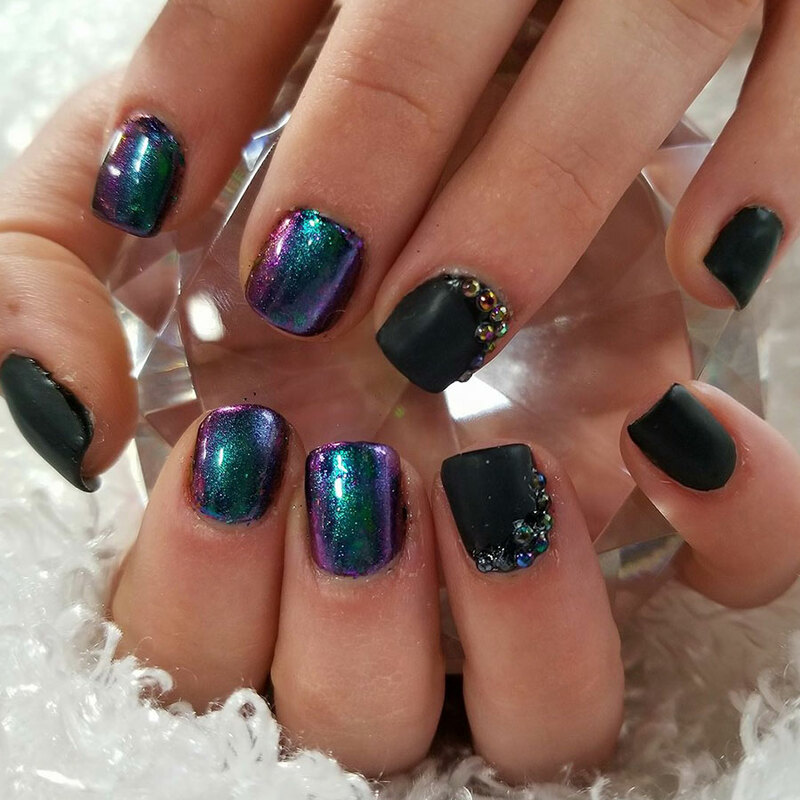 Shellac is a hybrid meaning half nail polish, half gel. It is applied like a polish and cured to give your nails flexibility, durability and shine. It will last for up to two weeks. 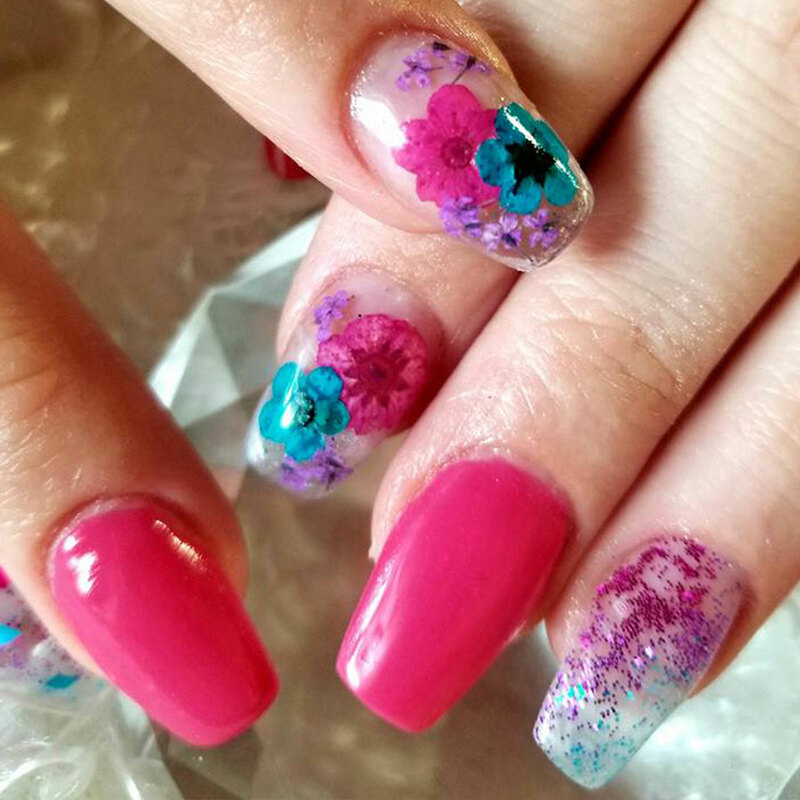 Acrylic nails use a covering that is glued over your natural nail. A liquid is mixed with a powder and is then brushed over your entire nail. 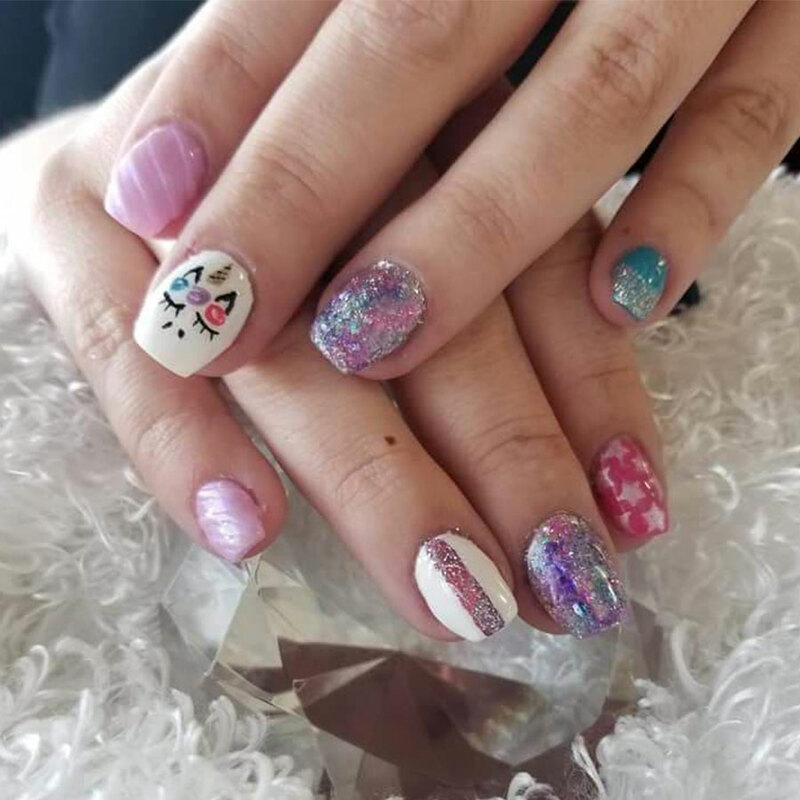 *Nail art includes any design, glitter, nail powder, chrome powder, etc added to the nails other than polish/shellac.